The use of the second order statistical measures has became popular in the image database indexing and retrieval. Unlike the common approach, image histogram, second order statistics like image correlogram and autocorrelogram consider also the spatial organization of the image colors or gray levels. Recently, correlograms and autocorrelograms have been widely used in the image database indexing. In this paper we present binary co-occurrence matrix, a new statistical measure for image indexing. This measure represents the footprint distribution of the co-occurrence matrix. 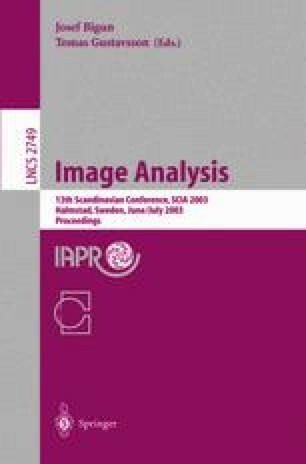 Compared to image correlogram, this approach provides better retrieval accuracy at lower computational cost. We make retrieval experiments using two industrial image databases. These databases contain images collected from paper and metal manufacturing processes. In the experiments, we compare the retrieval performance of our approach to that of correlograms and autocorrelograms.